Here we go again! It’s your turn to come visit us on our next Open day, on 11th May. 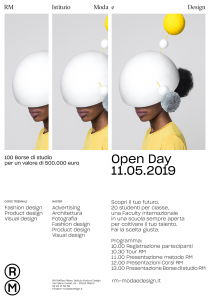 See you at 11:00 am for the Campus Tour and the Presentation of our Three-year Courses and Masters at our very new building in Milan – Via Felice Casati, 16 – near the Porta Venezia district, close to the Stazione Centrale. We’ll tell you all about the 10 good reasons to come study with us; the moment to be in touch with your future has arrived. Sign up in the box.